Headphone headache may not be an officially recognized medical condition, but I’m guessing anyone who wears headphones for extended periods of time has experienced it at one time or another. Unfortunately, many believe there isn’t much you can do about it, other than not wearing headphones, that is, but that just isn’t the case. 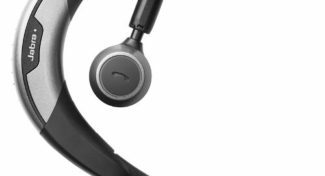 Let’s take a look at what you can do to help relieve the symptoms and maybe even put a stop to headphone headache once for all. While not all of these will work for everything, I’m betting that at least one of these will do the trick. I recommend that you try each of these (if you can) and then stick with what works best for you. 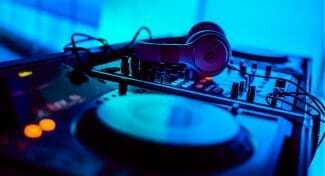 First, What is Headphone Headache? Before we get into how to stop it, I think first it would be helpful if everyone learned what it is. Headphone headache is basically a headache caused by wearing headphones. In most cases, people experience this if they wear headphones for extended periods of time on a regular basis. Often it manifests itself through pressure on your ears and temples, but sometimes it can just feel like a regular headache, plain and simple. 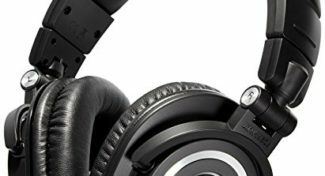 In more extreme cases, some people even begin to experience phantom headphone headaches that occur even when they haven’t worn headphones. Now that we understand what it is, what can you do to stop it? Well, there are a few things you can do. Let’s take a look at each one and look at both the good and bad sides of each method. I know, this one is pretty obvious. For most people, if you stop wearing headphones completely for several days in a row these headaches will disappear. That sounds great. However, it does mean that you can no longer use your headphones, and that’s no fun and for some it just isn’t practical at all. If you do want to get rid of those headaches, this trick will work every time. Now if you can’t just stop using your headphons, or you really don’t want to, perhaps you can try reducing the amount of time you are using them. Remember, your ears are wrapped in technology or you have an earbud stuck in your ear. Over time, this can cause your ears and head to get sore. This can end up resulting in a headphone headache. While not always possible, try to reduce the amount of time you use your headphones, especially in one sitting. What I mean is, if you use them for four hours at a time, why not try reducing that by half and see if things get better. If you can, try to entertain yourself with other things for those two hours. This could give your head and ears the break they need and stop you from experiencing one of those nasty headaches. If you wear your headphones daily, this could be the trick. Another thing you can try is to give yourself a full day’s rest from them here and there. This can help give your head the time it needs to recover between sessions. This has the most chance of success if you don’t get them all the time but only after you have used them for extended periods of time over the course of several days in a row. Try giving your head a break every day or two days and see if that helps. One of the most common causes of headphone headache are headphones that are just too tight on your head or too large for your ear (in the case of earbuds). Since everyone is different, you may need to adjust your headphones to a different size in order to take care of the problem. 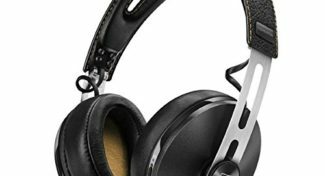 While many headphones adopt the one size fits all approach, others give you many different ways to adjust them. Check your headphones to see what you can do to adjust them. If they feel a little tight, try making them larger. In some cases, they may feel fine but still be too tight. So if you are getting headaches, go ahead and make them a little bigger anyway to see if that takes care of those headaches. You may need to install larger earpads or even smaller ones depending on your ears and head. 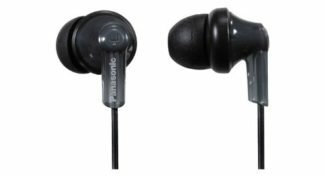 If you are dealing with earbuds, chances are they too big for your ear canal, so you need to either add smaller pads to them before putting them in or look for a different pair that are smaller so they fit your ear a little better. I know that this will take a little experimenting on your part and you may have to spend some time using them in a way that doesn’t feel natural, but do it anyway. You will get used to the new way of wearing them especially if they make those headaches go away. Often, the headache you are experiencing doesn’t come from the headphones but from the volume of the sound you are pumping through them. Remember, if the sound is loud enough to cause a headphone headache, there is a good chance you are damaging your ears as well. Now I understand that sometimes you turn it up to drown out whatever is going on around you, but you could be damaging your ears and hurting your head in the process. If you don’t have pain around your temples and ears, then there is a good chance the headache is sound related. Just turn them down a few ticks the next day and see if that helps your pain. If it goes away, that was probably the issue. If you are having a hard time hearing your music or whatever it is you are listening to, you may want to check out the next method as well. When all else fails, you could just be stuck with a pair of headphones that really don’t work for your body. No matter what you do, they could just be too tight or maybe they just don’t fit your ears the way they need to fit. You see, every single human body is different. That means that one pair of headphones may not work for every body type. It doesn’t means the headphones are bad, they could just be bad for YOU. Admittedly, this may take a bit of experimentation. In most cases, when headphones don’t fit and they cause headaches, it is because they are too tight. This means that they are either too small or maybe the over the ear pieces are too small. In the case of ear buds, the buds could be too large for your ear canal resulting in pain. Try out a few different pairs of headphones, if you can. Make sure you go with one that is larger unless you use earbuds. In that case, the reverse is what you need to search for. Try and find ear buds that are smaller or at least come with different size pads so you can try them instead. 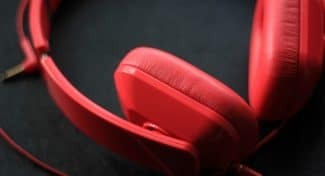 It may take a few tries to get it right, but I guarantee if you are dealing with headphone headaches you will be glad you took the time to search for the perfect pair for your head and ears as you will no longer have to deal with that pain. I admit I’m not a big fan of this option, as it means you aren’t really doing anything to stop the headphone headache in the first place. But, if you simply must use your headphones and you don’t want to bother trying to fix it, this will, at the very least, alleviate some of the symptoms. Basically, all you are doing is treating the headache. Try taking some over the counter pain reliever when you feel the headache coming on to stop it in its tracks. While this will do the trick, it doesn’t always work for some. What’s worse is it means you are relying on pain relievers to get rid of the headaches, and we have all seen the side effects that can occur with pain relievers such as acetaminophen. Personally, I wouldn’t recommend this course of action for anything more than a short term solution until you can try the other methods I have highlighted above. As always, you may want to consult a doctor before you begin taking any medication, including over the counter pain reliever, especially if you are taking it on a regular basis. At the end of the day, you want your headphones to be comfortable. And if they are causing you headaches after extended periods of use, they are not comfortable at all. Remember, examine how you use them and how they feel on your head. Try adjusting your usage before you look at replacement and make sure you do what you can to resize them before you give up and buy something new. 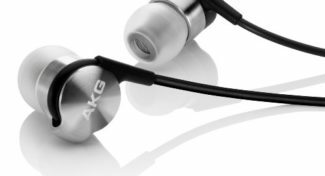 Of course, if you are looking for good headphones, I recommend you check out our buying guides to find the right pair, we even take the time to mention how they fit for many users, so that should give you something to look at before you buy. Have you every experience headphone headache? If so, tell me about it in the comments below. I would love to hear what you did to fix it or if anything here helped you solve your headphone headache issues.